Many people exhibit a sudden interest in organic food when they or someone in their family has been afflicted with cancer. Are they just grasping for links or is there any factual basis for their concern that the way modern food is grown can contribute to cancer? Let’s review how conventional leafy green vegetables, such as Choi Sum or Bak Choi, are typically grown in Hong Kong. All the chemicals listed below are approved and readily available for sale in Hong Kong. Prior to growing a new crop, conventional chemical farmers spray a broad-spectrum systemic herbicide, such as Glyphosate, to kill weeds in the soil. “Broad-spectrum” means that it is effective against a wide a variety of plants – it is toxic not only to the weeds but also to the vegetables that will subsequently be planted. However, it’s concentration will have been diminished by the time the vegetables are planted. The residual toxicity will still weaken the vegetable. A weaker plant is more susceptible to pests and disease. As such, farmers need to apply higher quantities of pesticide later on to protect the crop from insect attacks. Several recent studies showed glyphosate potential adverse health effects to humans as it may be an endocrine disruptor. It induces human breast cancer cells growth via oestrogen receptor. The next step is to apply a granular systemic insecticide to kill the insects and larvae in the soil. 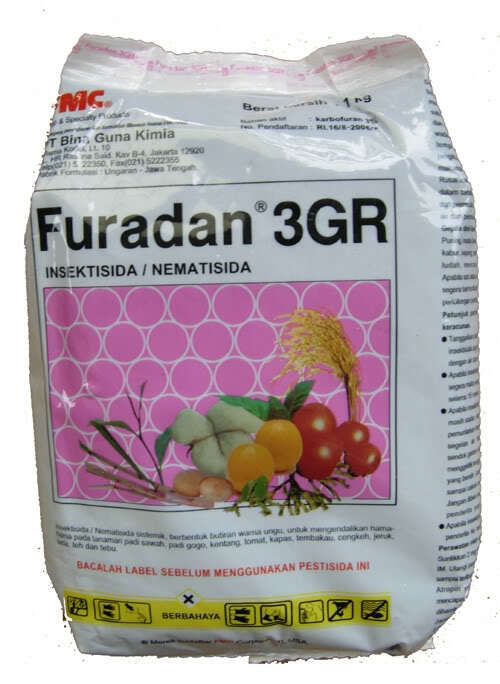 One of the most widely used insecticides in Hong Kong is Furadan (the trade name of carbofuran). A “systemic” insecticide is absorbed by the plant through its roots (or leaves), and from here the plant distributes it throughout its organs, thereby poisoning insects that attack the plant. Systemic substances cannot be washed off. Carbofuran has one of the highest acute toxicities to humans of any insecticide widely used on field crops. “It is an endocrine disruptor… may cause transient alterations in the concentration of hormones. These alterations may consequently lead to serious reproductive problems….” It is also highly toxic to wildlife, in particular birds. In its granular form, a single grain will kill a bird. It is banned in Canada and the EU. The vegetables are then sprayed weekly with a systemic insecticide such as Malathion which is highly toxic to bees and other beneficial insects, some fish, and other aquatic life. 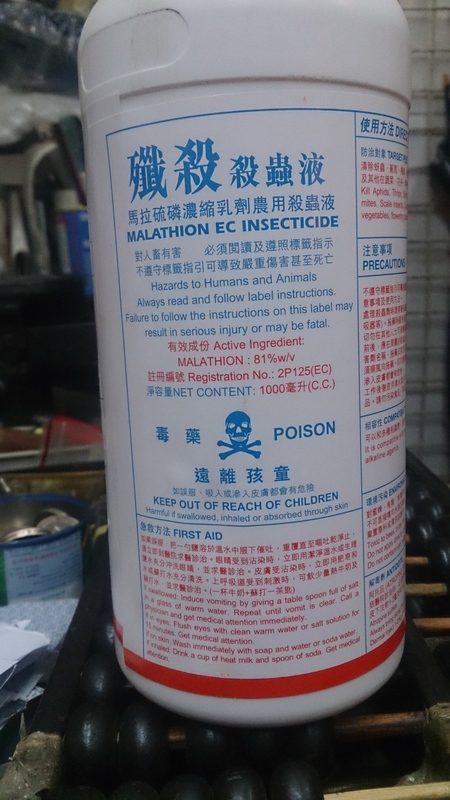 Is malathion likely to contribute to the development of cancer? One of the most important factors in ensuring food safety is proper application of chemical pesticides and herbicides. They must be applied in the correct quantities and must not be used 14 days prior harvest. It is extremely difficult to put this into practice for 3 reasons: (1) the entire field must be sprayed at once in order to avoid creating safe havens for the surviving pest, (2) insects do not play by our rules and cease their attack 14 days prior to harvest and (3) a crop is often harvested multiple times. For example, a farmer may first harvest baby Choi Sum (to thin the field leaving room for the rest to grow), then harvest the main stem and finally harvest side shoots all from the the same crop. For these reasons it is virtually impossible to avoid spraying the plant 14 days prior to harvest. So which of the vegetables above are organic? It turns out neither of them are. The one on the right was grown in Hong Kong. The left, is from China. 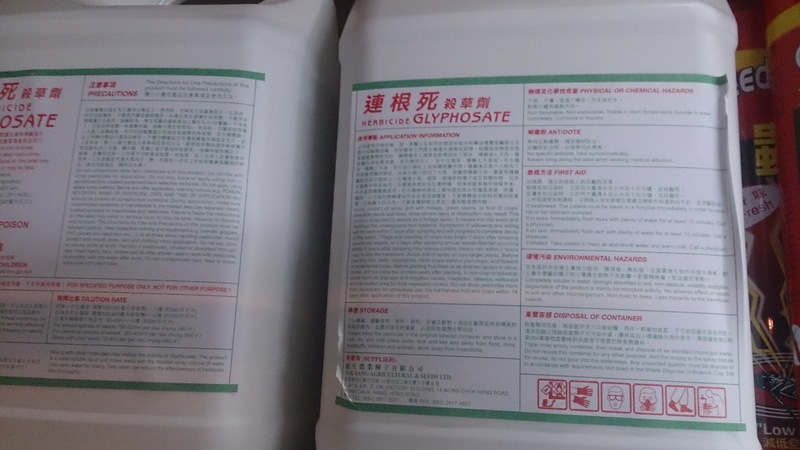 The pesticides approved in Hong Kong are no longer fully effective against the pest. Hence, the visible insect bites on the Hong Kong grown vegetables. To grow the perfectly unmarked vegetables on the left, farmers in China need to resort to even more drastic measures such as spraying every 3 days and/or using banned chemicals such as DDT. The difference in price between a catty of organic and non-organic vegetables works out to be less than the cost of a cup of coffee. Would you spend that amount to reduce the chance of suffering from cancer?